An article appeared in the November issue of the FINESSE magazine with Binnelanders TV stars posing with some of our puppies and our imported male Seun Jnr. J&E Shar pei Breeders is a registered kennel with SADBA, and is owned by Liza and Jaco Janse van Vuuren. 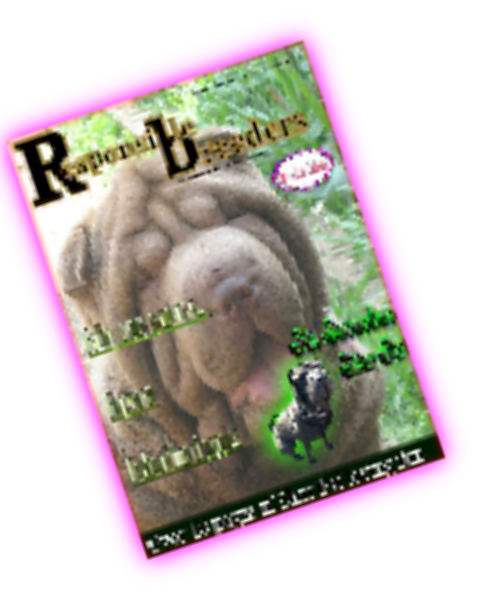 We have been breeding Shar Pei since 2005 and are located in Boksburg, Gauteng, South Africa. We do have breeding restrictions on the papers. Registration papers are available at point of sale. 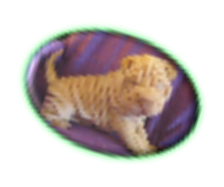 We breed Shar Pei for Shar Pei Lover families, where the Shar Pei becomes a companion and part of the family. 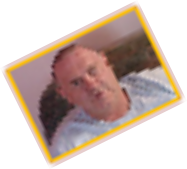 Our testimonial page speaks for itself. We have our own personal Vet who ensures that all puppies are healthy, inoculated and dewormed before released to new owners. Our breeding stud is also inspected and inoculated annually by him. 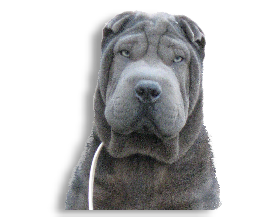 We were breeding for the local and export market, but are currently only breeding for the local market, as we want to establish and keep a Shar Pei relationship with our buyers. See our Upcoming Litters for more info. Our females are selling at R4200.00 per puppy and males are selling at R4000.00 per puppy Black, White, Cream Dilute, Fawn and a deposit of R2000.00 is required to confirm a booking, but Chocolate, Blue, Lilac and Red females are selling at R4700.00 per puppy, and males are selling at R4500.00 per puppy, a deposit of R2000.00 is required. We advise potential buyers to forward their detail to us, to enable us to place them on a waiting list. All our puppies are normally booked and sold within the first week after birth. 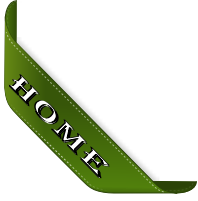 References of happy buyers can be seen on our Testimonial page. All pictures and text is the copyright of J & E kennels ©. Ava our chocolate brushcoat female appeared on the front Cover of the September 2013 issue of Responsible Breeders Online Magazine on facebook. 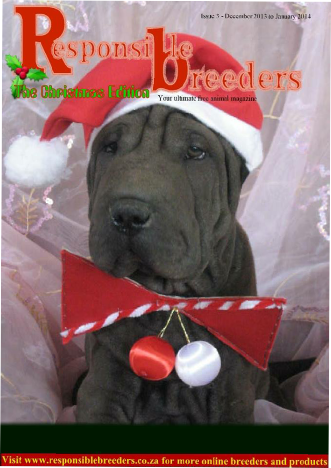 Wrinkles one of our puppies frm Seun our imported male and Blue our blue female will be on the front cover of the December 2013 Xmas issue on facebook.